Here at the Nanovic Institute, we award a lot of undergraduate grants, and we trust that our efforts bear fruit in the personal, academic, and professional lives of the students. It's always nice, though, to receive the sort of confirmation that we received the other day from John Hennessey ('09, Major in History and French & Francophone Studies). John received The R. Stephen and Ruth Barrett Family Grant for Best Undergraduate Travel & Research Proposal for his research in Aix-en-Province in the summer of 2008. With it, he conducted research for his senior thesis on French Indochina during the Second World War. This fieldwork opportunity [made possible by the Nanovic grant], together with the experience of writing an undergraduate thesis, has proved extremely valuable for my career. I would like to express my deep gratitude to the Nanovic Institute for making this possible, and thought that you would be happy to hear that your grant eventually led to a publication. Yes, this does make us happy! Congratulations, John! 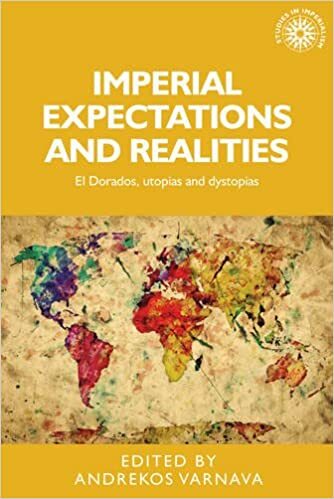 For more information on Imperial Expectations and Realities, go to the Manchester University Press website or to Amazon.